Series: Keep at it. He's worth it. 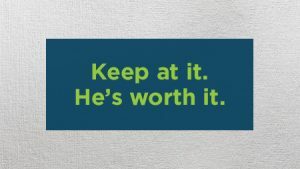 Keep At It!… He’s Worth It!